This January I was privileged to take part in a week long course in the specialist skill of seamed raising. 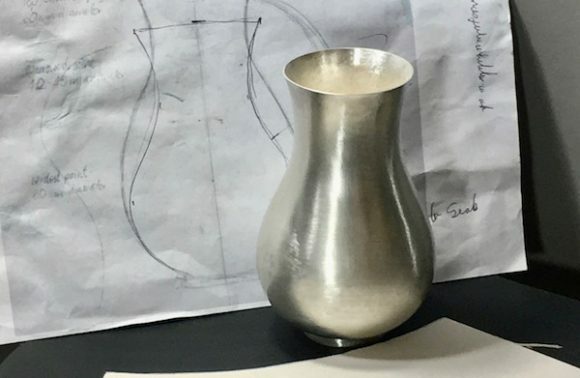 Organised by Contemporary British Silversmiths the skills training schemes are an initiative to promote traditional skills. This is an excellent opportunity for members to learn specialist techniques from an expert. In this way we can keep the knowledge base of silversmithing alive and well for future smiths. 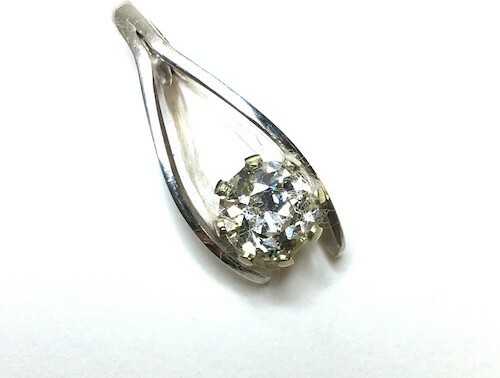 This stunning diamond came from a ring worn down with time and in need of a new incarnation. 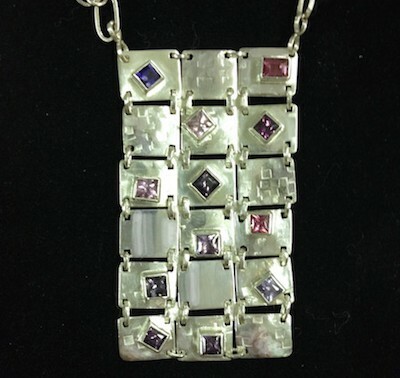 The design, which came from the customer highlights the lovely gemstone. In its new life it will go back to grandmother to wear on her chain. I recently had the opportunity to take on an interesting project which involved setting a dozen stones which were not quite true squares and rectangles. A little more demanding than usual with corners that didn’t quite conform to 90 degrees. However the beautiful colours made this a rewarding piece to work on. The stones are set on textured linked tiles making the piece flexible. 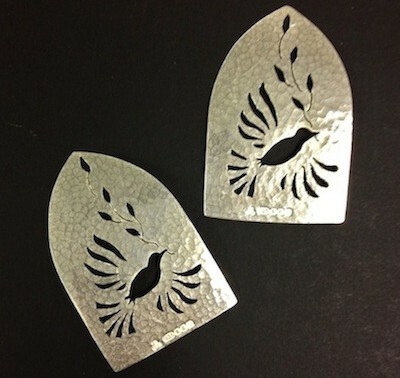 It has been an exciting year for jewellery and silversmithing. In the spring the fabulous ‘Cheapside Hoard’ was given a rare showing at the museum of London. 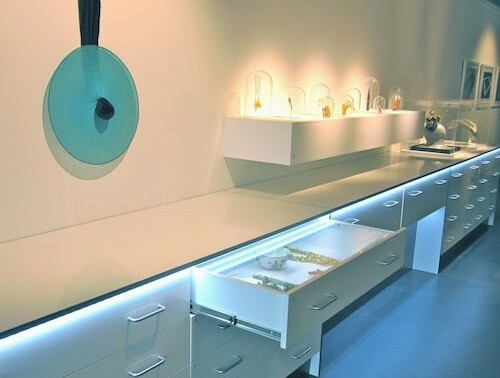 The new gallery dedicated to late 20 century and contemporary Jewellery opened at Mima in Middlesbrough. and I joined their committee in the summer. The jewellery courses continue to offer brilliant value for money with our next courses starting in the first week of January 2015. 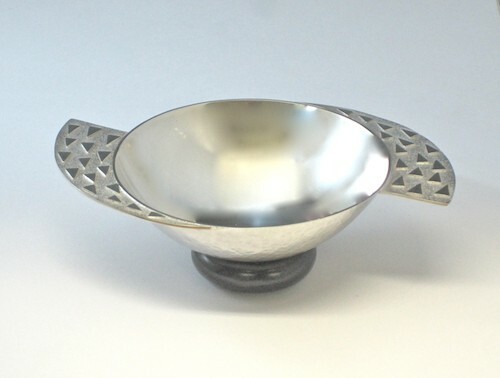 This sterling silver quaich has been commissioned to celebrate the Christening of a wee boy whose parents will have use of this piece until he comes of age. 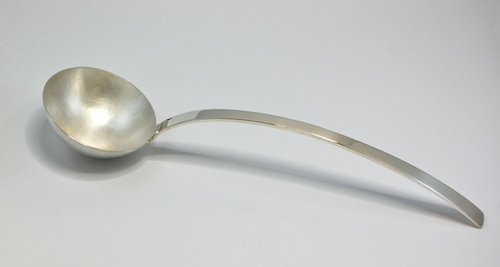 Later this summer in July I will joining fellow members of Contemporary British Silversmiths with an exhibition of spoons at Belton House. I am also taking part in a group show at Koldinghus Castle in Denmark with the CBS and Danish silversmiths. The year has whizzed by and after a flurry of autumn shows the year is drawing to a close. Some of my Christmas decorations have been on sale through the website Seek & Adore and others through the Worshipful Company of Goldsmiths site. In addition to these projects I also have a pair of peace bringing doves on show at the Goldsmith’s Centre in Clerkenwell. This is a joint venture with Contemporary British Silversmiths, and our work features in the Goldsmith’s Advent Calendar as well as being displayed in a cabinet of curiosities. 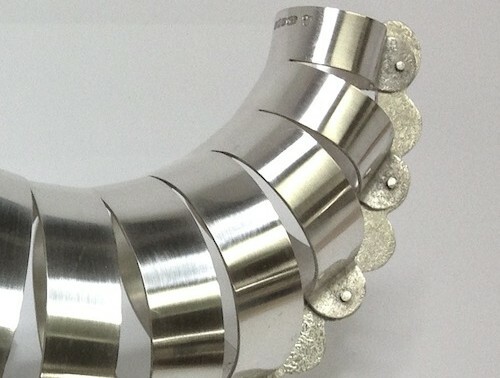 This summer 2 pieces of my work are being shown at Christie’s auction house as part of their contemporary silver show. 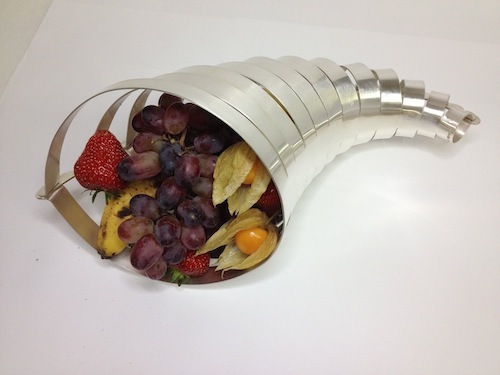 The ‘Cornucopia’ or ‘Horn of Plenty’ is a three dimensional structure formed from a single sheet of silver held together with pegs along the scalloped spine. 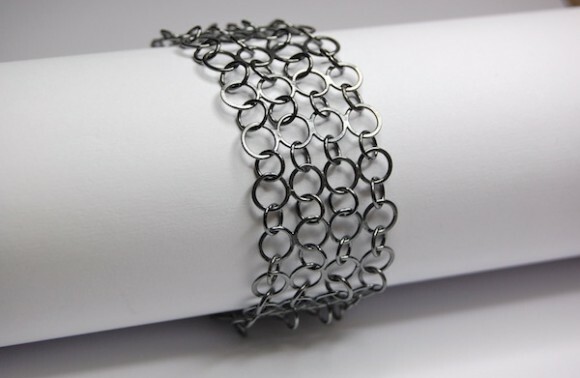 This year I have been developing designs using links, chains, and chainmail.